Diamond Decor GB Ltd - Carpets/Flooring, Painter/Decorator based in Eaton Gardens, East Sussex. Invoice history based on 188 reviews. 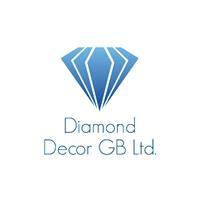 Diamond Decor GB Ltd. is a friendly and professional company with 14 years experience. Our quality is on first place. We always assure that all work is done perfectly, without mistakes and try to fit into your conception. We are based in Brighton and Hove area but providing services for businesses and homeowners within all Sussex, Kent and Surrey area. As well as our free no obligation visit and quotation, we will gladly offer you our advise, opinion and product knowledge. Our number one priority is to meet your expectation. We will always make sure the project will run on schedule, on budget and to the highest possible standard. Diamond Decor GB Ltd. is big enough to serve but small enough to care.